The electric power system is undergoing a fundamental evolution. The traditional architecture is quickly evolving and new generation, control and information technologies are reshaping the foundations of the industry. I am an energy market veteran. I have been dealing with energy from a lot of different angles. The traditional architecture is quickly evolving and new generation, control and information technologies are reshaping the foundations of the industry. However, in order to drive this evolution further and fully unlock future scenarios, more is needed in term of enabling technologies and regulations. Could blockchain be one of the key enabling technologies for a future electric power system architecture? The traditional electric system relies on centralised hub-and-spoke grid architecture where a small number of large and very reliable power plants produced the energy necessary to feed a basically predictable consumption. Energy flows in just one direction, from the plants to the grid, from the grid to a large number of passive customers. The power system operates as a single system, with long planning cycles that have the objective to provide adequate resources to meet expected load. Operational capabilities, reserve and ancillary services grant that the system operates securely at all times. Figure 1: Traditional power system – Source: Electric Power Research Institute. In recent years the traditional vision of hub-and-spoke, one-way flow electric system is rapidly changing. Improvements in performance and cost reductions of Distributed Energy Resources (DERs) are offering new options for on-site generation. DERs increasing deployment is changing the way distribution grids have to be operated. DERs, energy efficiency and new uses for electricity (e.g. electric vehicles) are changing demands patterns in the system. An unprecedented availability of computing power in the electric system allows for the collection of an immense volume of data on power and its usage, for greatly improved visibility and control on generation, grids and loads. Data, visibility and control are making possible to provide new services and added value to customers. Moreover, climate change debate and action is catalysing public and political attention on DERs potential as a clean and resilient option for the electric systems. Energy consumers are becoming energy producers (prosumers) and their consumption is becoming more interactive and dynamic, through smart devices they are becoming more and more connected and social. Energy is becoming a platform on which new products, services and value propositions are offered. Figure 2: Tomorrow's Power System – Source: Electric Power Research Institute. Electricity consumed in different places (e.g. to charge an electric vehicle) is invoiced in an aggregated bill. What are the main issues that have to be tackled in order to unlock this vision of a future electricity market? Today, power is produced by large generators and sold in big chunks. Grid operators then track and settle the transactions in a process that involve qualified resources and sophisticated software. The limits of this model create a barrier for the participation to electricity market of small and micro-generators. The multi-tiered nature of power markets and of power attributes markets (green certificates and emission reduction certificates), the expensive and redundant platforms and the need for third-parties intermediaries (either to ensure trust or to redress information asymmetries) all cooperate in generating transaction costs too high to track and settle separately micro deals. Can a central organisation manage security and privacy issues related to the huge amount of data necessary to provide innovative services to the end customers? Programs requiring aggregation and control over DERs and smart devices (e.g. virtual power plants, demand response and energy efficiency) involve a level of data sharing and trust toward a third party that few customers feel comfortable with. In order to fully exploit local DERs, integrate them in the grid service market and provide truly innovative services, grid balancing and management should be transformed from a top-down to a bottom-up process. Can blockchain represent a convincing solution to these issues? What blockchain, or Distributed Ledger Technology (DLT), can offer depends on how “intimate” is the relation with the electric system. In order to evaluate the potential of DLT, we make the hipotesis of a decentralized energy transaction system in which blockchain and physical grid overlap, with a physical node on the grid representing a node in the blockchain network. Transactions settlement and management, and balancing of the grid are in this case ruled by smart contracts that take into account the physical limitation of the infrastructure and the security of the power system. Nodes are able to transact between themselves while operating within the boundary of the grid control system. With this premises, Blockchain can deliver seamless reconciliation of physical and financial flows. The multi-tiered system would be simplified allowing direct transactions between producers and consumers. Every transaction (large, small or micro) is initiated by the blockchain system, broadcasted and chronologically recorded in tamper-proof distributed database and thus settled. The direct linking between producers and consumers, the distributed nature of the system and the disintermediation of the transactions can dramatically reduce the costs, making possible for micro players to participate in the power market. DLT is able to deliver data security and, applying zero-knowledge proof methods, the required privacy. The power grid would controlled through smart contracts that can signal to the system when to initiate what transactions. Predefined rules will ensure correct dispatching and energy flows in an automatic way, balancing supply and demand. The potential in term of business models is exceptional. A new product or service could be launched simply developing a smart contract (we can call it an application) on the platform. Theoretically, the match between DLT and power grids seems perfect; electricity in power grids is naturally scarce and DLT deals with creating and managing scarcity, the power grid is evolving toward decentralisation and DLT manages it. Scalability. A power grid (even geographically limited) includes a mind-blowing number of nodes, especially taking into consideration IoT development. The biggest public blockchains are today composed of thousands of nodes, the requirement for a power grid would be of a different order of magnitude. Geographically contiguous blockchains would need the capacity to work together. Consensus mechanism. The main innovation introduced with the bitcoin blockchain was how the combination of Proof of Work (PoW), cryptographic signatures, Merkle chains and P2P networks was used to create distributed, trustless consensus. The lack of a trust model with a responsible central authority makes necessary to establish a process by which the entire network agrees on the same truth that, in this case, is the transaction ledger stored as blockchain. In order to make possible the use of DLT to manage power grid and market, a suitable consensus mechanism has to be found. The mechanism will have to grant all the security and resiliency characteristics of the original blockchain but also an efficiency able to cope with numbers of transactions and complexity of an electric power system. Finally, an adequate ecosystem of technologies and regulations needs to be in place to make possible such a fundamental revolution. The case of the decentralised power grid is the most “hard-line” in term of integration between DLT and electric system, however, blockchain could also be used in more specific and limited applications. Possible use cases are numerous, back-office processes, trading platforms, green certificates, billing and payments are just some of them. German Energy Agency (dena) together with the European School of Management and Technology (ESMT) published a survey among decision makers in the German energy industry on the possible uses of DLT in the energy sector. 110 use cases have been identified, showing the interest and the attention DLT has attracted within the energy industry. 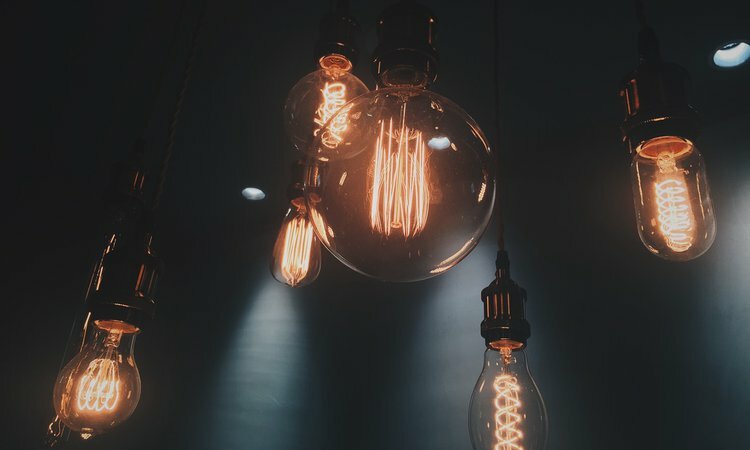 While the current electricity grid system is not about to be disrupted tomorrow, the reinvention of the power industry seems ready to move from the theoretical to the practical. 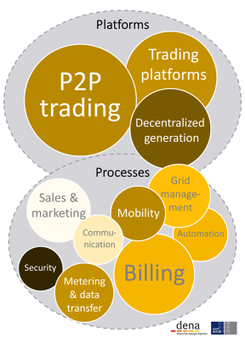 Figure 3: Results of potential use cases of Blockchain in the energy sector – Source: dena; ESMT. I am an energy market veteran. I have been dealing with energy from a lot of different angles: engineering, marketing, investment, cleantech and trading. I am amazed by the potential of blockchain technology in creating new, more open, fair and transparent market architectures and I am now exploring its potential in the energy ecosystem.